Come on back to the happiest place on Earth! 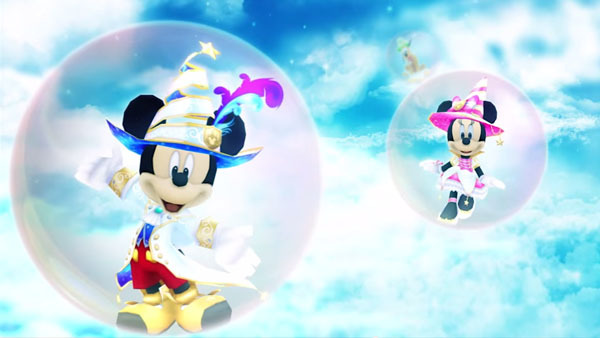 Previously, Bandai Namco announced an upcoming sequel to Disney Magical World, the Disney-themed casual game aimed at kids and families for 3DS. Now there's an official teaser trailer that shows off some of the characters you'll be seeing in-game along with an extremely cheerful tune that should get you perked right up for the upcoming sequel. This is all we're getting for the moment...until July 6, anyway, when an official event revealing the game proper will be streamed live at the game's official website. Hopefully it'll get another special edition 2DS, because the original peach pink edition was absolutely darling, as well as its matching case. Judging by the success of the first game, it's likely something we'll see more of here in America. Stay tuned for further details about M-I-C-K-E-Y-M-O-U-S-E!